Ahead of the release of iOS 10 on the page for developers Apple announced that to date 88% of supported mobile devices running iOS 9. This means that almost 9 out of 10 iPhone, iPad, and iPod touch updated to the latest currently version of the OS. 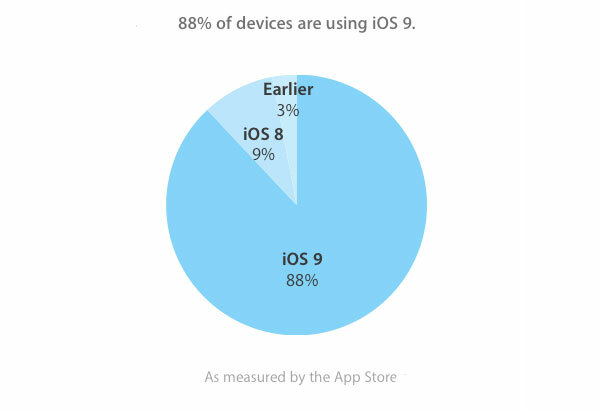 IOS 8 is now 9%, on all other versions (3%). However, to be the last iOS 9 soon. 7 September Apple holds an event where they will announced a new device and named the release date of iOS 10. In Cupertino certainly hope that the upgrade to the “tens” will be held no less quickly than before iOS 9. At the end of last September, the share of iOS 9 was 50%, this rate of spread in the history of this system was not before. In November, after the release of iOS 9.1, the result reached 66%. Mobile operating systems iOS and Android have their pros and cons, and the propagation speed is the biggest advantage of Apple product. Android is known for its fragmentation, and the Windows with their minimum market share of mobile devices is not of great importance. 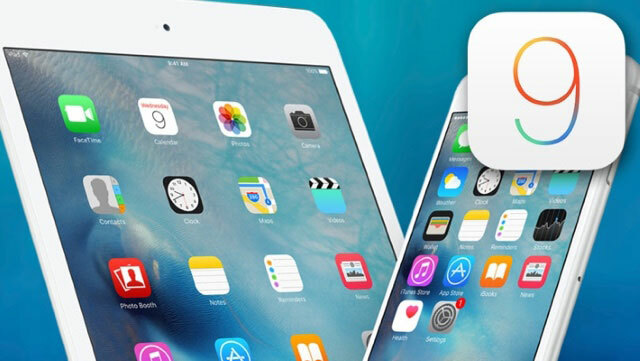 New versions of iOS become available on supported devices simultaneously, without waiting for the approvals of operators and third-party manufacturers, which iOS is not. iOS 10 updated interface, new security features, applications, and a number of other possibilities.